Used in the following models from 01/05/1965; Founded in 1864 they where originally a manufacturer of guns, moving on to bicycles. in the early 1920’s it started by manufacturing motorised vehicles on a very limited scale. 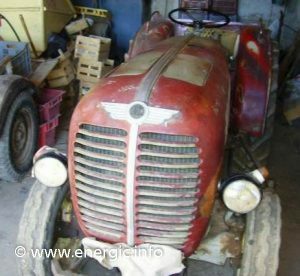 By the late 1920’s they built a moto-plough, first tractor tractor type vehicle, under license from Laurin & Clement of Czechoslovakia. Followed by a version in 1930 of the Fordson tractor. 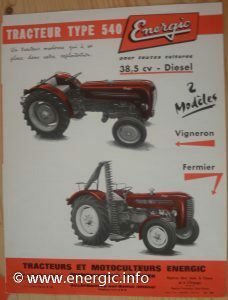 After the second world war they concentrated on single and twin cylinder smaller tractors, and there production capability increased dramatically till in 1965 they had produced 160 000 tractors. The manufacturing plant is based at St Valentin in Austria (real name Steyr Landmaschinentechnik AG). Now a subsidiary of CNH Global group. It was part of the Steyr- Daimler-Puch conglomerate from 1934 to 1990. When it was purchased by the Case corporation in 1996. Case IH and New Holland merged in 1999 to form CNH Global, and Steyr exists as a marque within the CNH group. 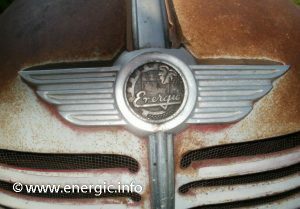 Energic offered a rebadged 288 range in 1965 (very few of these rebadged tractors where purchased). 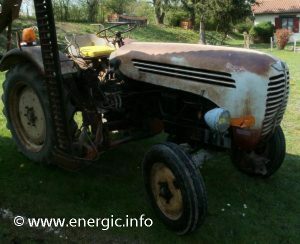 Energic a rebadged Steyr tracteur. 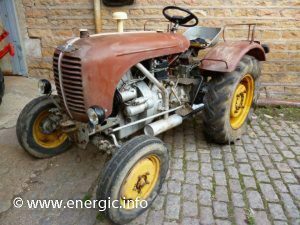 Energic 540 Tracteur (Steyr engine 38.5cv 1960) model Fermier. 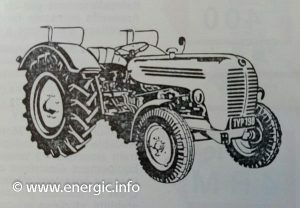 Energic a rebadged Steyr tracteur model 530. 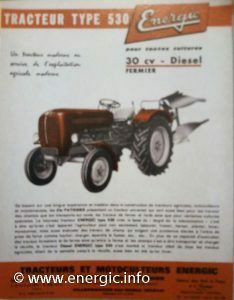 Energic a rebadged Steyr tracteur model 530 brochure. Energic a rebadged Steyr tracteur model 520.